These are the recording tools I use to produce and publish video to YouTube and Twitch. Screen Capture Software: (Dxtory) To record game-play footage. Since I record on the same PC I play on it’s essential that the encoding software I use minimally impacts performance while at the same time captures high quality game-play. Dxtory creates high-quality lossless files without killing your frame-rate. Video Editing Software: (Adobe Premiere Pro CC) The software I use to edit my videos. You can subscribe and stay up-to-date on the latest version of this fantastic video editing program for $19.99/month. 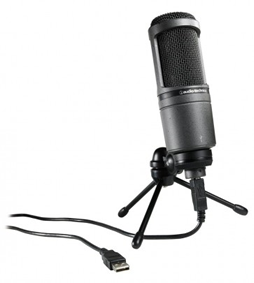 Voice Recording: (Audio-Technica AT2020 USB Condenser Microphone) To record my YouTube voice-overs. Although it’s not the most expensive microphone I own, it is my workhorse when it comes to producing video or audio content on my computer. The USB connector makes getting setup dead-simple, and the audio quality is clean and nice. 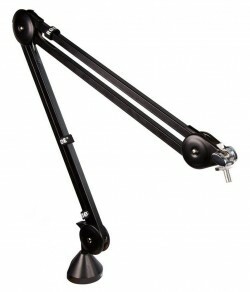 Microphone Accessory: (Rode PSA1 Microphone Boom Arm) Desk mount I attach my microphone to. The Rode PSA1 Microphone Boom Arm mounts to my desk and allows me to attach my Audio-Technica AT2020 to it. This allows me to swivel the mic into and out of position as I need it. 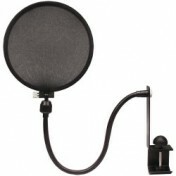 Microphone Accessory: (Nady MPF-6 Pop Filter) Pop filter I use to reduce the plosives. Streaming Software: (XSplit Broadcaster) The software I use to live-stream on twitch. XSplit Broadcaster is good software if you are a streamer. Lots of options that allow you to switch between screens, essentially controlling what your viewers see. 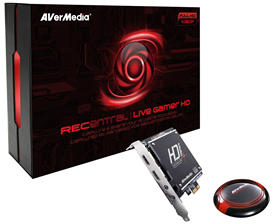 Streaming Hardware: (Avermedia Live Gamer HD) The hardware I use in conjunction with XSplit Broadcaster to live-stream on twitch. I also use this to record game footage at times. It’s advantage is that all encoding is off-loaded to this board which means that in-game frame-rate impact is minimal. It also produces compressed h.264 mp4 files which take up minimal storage space. 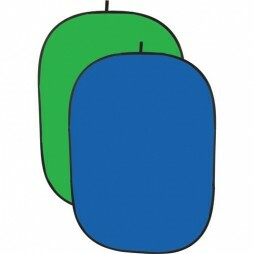 Blue/Green Chroma Screen: (Impact Collapsible Chroma Screen) The screen I use to “erase” the background while streaming. This 5′ x 7′ green screen folds up when not in use and features a blue screen on one side, and a green screen on the other. This gives you options in the event you happen to be wearing a bright green shirt during your cast.